But why gamble the farm on speculation? If you’re wrong, it’s game over for you. 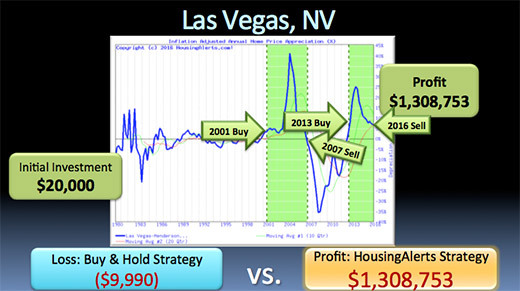 Regardless of when you bought over the last 36 years in Vegas, it’s a hell of a thought to have dealt with tenants and toilets for that many years only to have lost money in the process just because you didn’t pay attention to the main driver of success: The Market. That sad story is being repeated millions of times across the country right now… same as it was during the last down cycle… and the same as it will be in the next cycle. Why not get it right the first time and avoid all that pain? Here’s an example of maximizing the cycle for wealth building. 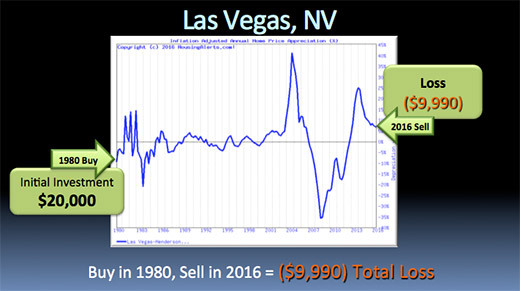 Numbers don’t lie… if you bought a Vegas home in 1980 expecting to cash out in 2016 to live your retirement fantasies, you’d be in for a reality check!!! Adjusted for inflation, you actually LOST money–$9,990, to be exact! In this example, we’re going to pay attention to the market cycles, and follow my simple S.T.A.R. System ‘Wealth Phase’ indicators. See the Live Streaming Demo of the S.T.A.R System – Click Here And Be Shocked! You bought only when the S.T.A.R. Indicators said it was time, and you sold when it told you to. See the green highlighted area? That’s the wealth building phase. Las Vegas only had two periods over the last 30 years where it made any sense to aggressively invest. So you took your money out of the bank in 2001, used that original $20,000 as your down payment, got a mortgage with the same LTV, and bought. Once again, we’ll assume rents cover costs. The actual assumptions don’t matter because we use the same assumptions in both scenarios… all we’re doing is isolating the automatic appreciation – the wealth creation, under each example. Less than six years later, in early 2007, the green Wealth Building phase ended, so you sold. After side-stepping Vegas’ spectacular market crash, you got back in when the Wealth Phase turned green again in 2013. Vegas was still in a Wealth Phase in 2016, but you sold for purposes of this example to count-up your winnings! 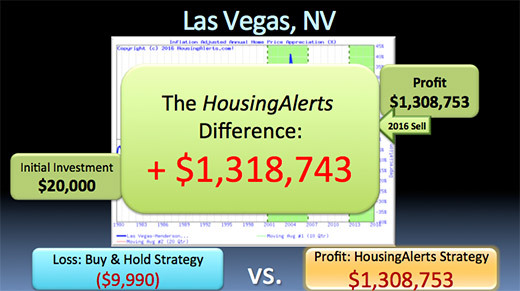 After paying off the mortgage, you walked away with a $1,308,753 profit! You got in and got out at the right times. Your $20,000 investment became $1,328,753. 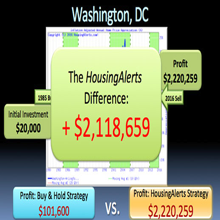 That’s a $1,308,753 profit compared to a $9,990 LOSS when you invested recklessly – without knowing the market cycle. More importantly, you were only ‘in’ the market while it was in the Wealth Building phase – less than nine years… and generated $1,318,743 more cash. 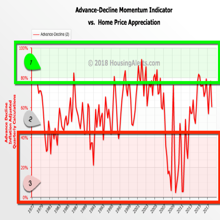 That’s the beauty of Leverage Appreciation… and why real estate investing CAN be so lucrative… if you get the market cycle right. And remember, in this example, you paid full price for the property, added absolutely NO additional value… and just held it. …or, if you bought more than one property during the wealth phase. …or if you had even more leverage, like with lease-options or other ‘no-money-down’ techniques! As a Local Market Master (LMM), your cash on return would be through the roof! Now you are talking about Massive Real Estate Profits. I’ll show you an Insider Look At the S.T.A.R. 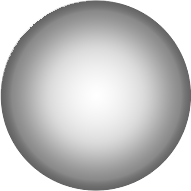 System and how it will predict the real estate future for you. 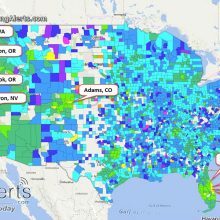 Get the Latest Real Estate Market Report here.